22 years ago! Damn! https://www.youtube.com/watch?v=25ge8uLCHkI 3 months 3 days ago. New review. Gotta love it: "plain annoying." Ihttp://www.folkworld.eu/62/e/cds1.html#naft 1 year 11 months ago. New Italian review!https://www.allaboutjazz.com/blood-naftules-dream-self-produced-review-by-neri-pollastri.php 2 years 2 months ago. Blood made the top ten of best jazz albums of 2016 here! http://www.classicalite.com/articles/41052/20161230/blogarrhea-best-2016.htm Eric Rosenthal Michael McLaughlin Andrew Stern Jim Gray Gary Bohan Joe Stewart Constanze Schliebs 2 years 3 months ago. New review of Blood: http://www.juf.org/news/blog.aspx?id=440940&blogid=13567 2 years 4 months ago. 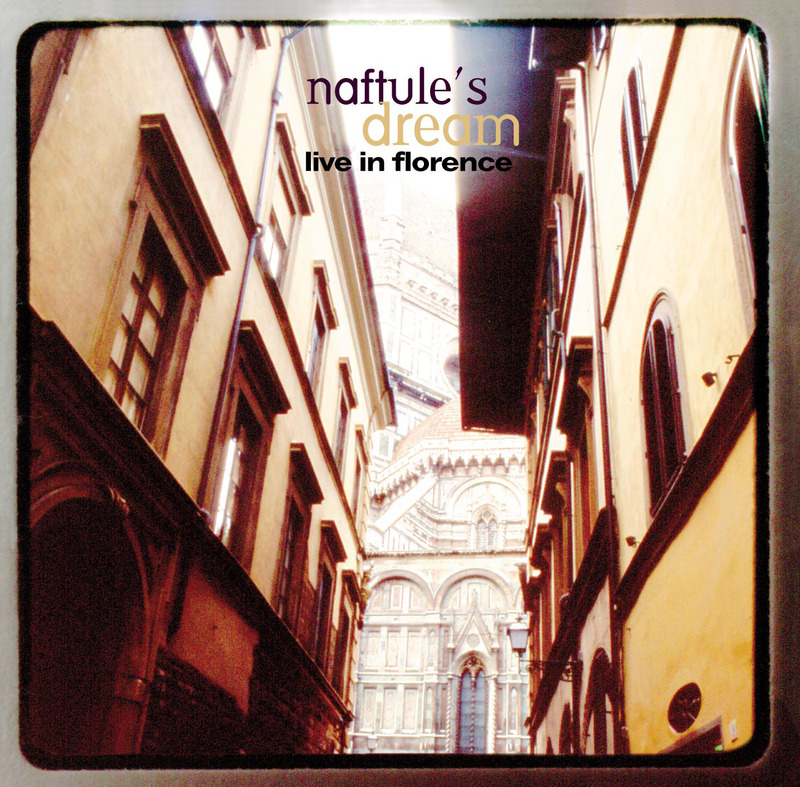 Naftule’s Dream is one of the most amazing groups that you will ever hear. Based in Boston, the group emerged as a major force in the radical Jewish music movement out of New York City in the 1990s and continues to break new ground with its unique blend of modern classical, freely improvised rock fusion, and Jewish roots music. The six musicians weave fiery improvisation into complex arrangements in a style reminiscent of Charles Mingus and Henry Threadgill. The American Reporter describes their music as "what you might hear were Ornette Coleman to play a Jewish wedding." Naftule’s Dream is a well-known player on the international circuit, with gigs including the Berlin Jazz Festival, Ashkenaz Festival of New Yiddish Culture in Toronto, Montreal Jazz Festival, Chicago World Music Festival, Bell-Atlantic Jazz Festival, New York Jazz Festival, as well as in clubs throughout the United States and Europe. With this new record "Live in Florence", we are privileged to hear what they themselves call their most memorable live performance ever. "Think sophisticated little-big-band orchestrators like Charles Mingus and Carla Bley applying themselves to Jewish music."